The U.S.-New Zealand launch company plans liftoff of the two-stage rocket during a four-hour window opening at 8:30 p.m. EDT Friday (0030 GMT; 12:30 p.m. New Zealand time Saturday). 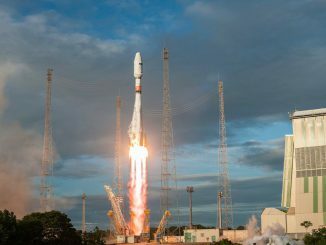 The satellites stowed atop the 55-foot-tall (17-meter) rocket will gather weather data, track maritime traffic, test a drag sail device for de-orbiting space junk, and embark on a mission of education. Sized to haul up to 330 pounds (150 kilograms) into a 310-mile-high (500-kilometer) polar orbit, the privately-developed Electron rocket was conceived to provide dedicated rides to space for lightweight payloads which currently must ride piggyback on bigger rockets, often forcing satellite owners to make compromises on orbital parameters and schedule. With a launch base on New Zealand’s North Island, a control center and manufacturing base in Auckland, and corporate headquarters and engine factory in Huntington Beach, California, Rocket Lab says it can offer customers a dedicated launch for as little as $4.9 million, a fraction of the price of larger, oversized boosters currently flying. Rocket Lab is one of several companies competing in the light launch market. Virgin Orbit, Firefly Aerospace, and other launcher developers are still designing and testing their vehicles, making Rocket Lab the first of the group to announce the start of commercial operations. “It’s a really important launch for us, but also for the industry,” Beck said in an interview Thursday. 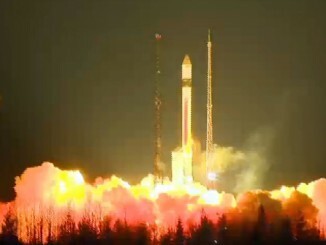 “It symbolizes the beginning of this long-awaited commercial regular service to orbit for spacecraft. The upcoming launch will be the third flight of Rocket Lab’s Electron booster, following two test flights in May 2017 and in January. The May 2017 mission, which Rocket Lab christened “It’s a Test,” reached space but fell short of the velocity needed to reach orbit when range safety officials terminated the mission due to a ground tracking error. On Jan. 20 (U.S. time), the second Electron mission — dubbed “Still Testing” — placed a package of small satellites into orbit. One of the payloads aboard the Electron launch in January was a geodesic sphere built and owned by Rocket Lab. Designed for to reflect sunlight to make it visible from the ground, the 3-foot (1-meter) sphere — resembling a disco ball and named Humanity Star — re-entered Earth’s atmosphere after about two months. Rocket Lab did not announce the presence of the Humanity Star satellite on the January launch until after it was deployed in orbit. With the start of commercial service, no such surprises are expected on the next mission. The lower two stages of the Electron rocket consume a mix of kerosene and liquid oxygen propellants. Rocket Lab says the kick stage allows Electron flights to place multiple satellites into different orbits, using the Curie engine’s reignition capability to adjust inclination and altitude. That will benefit customers flying different types of payloads on the same Electron mission, with the kick stage maneuvering to different orbits to drop off each satellite group. The first commercial Electron flight was supposed to occur in late April, but managers grounded the launcher after the ground team noticed “unusual behavior” in a DC motor controller driving turbopumps on the rocket’s first stage. “We’re abundantly cautious around here, so we saw that behavior, and we didn’t want to fly until we really understood what that was,” Beck said. “It turned out to not be a hardware issue. It was completely a process issue with production. Rocket Lab took advantage of the two-month delay to add two more payloads to the mission. Rocket Lab said Ecliptic Enterprises and Tyvak Nano-Satellite Systems assisted with accommodating the Irvine01 and NABEO payloads on the Electron mission. 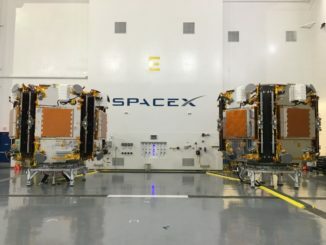 The Irvine01 and NABEO satellites joined two CubeSats for Spire Global, and one nanosatellite for GeoOptics that were already booked on the Electron launch. 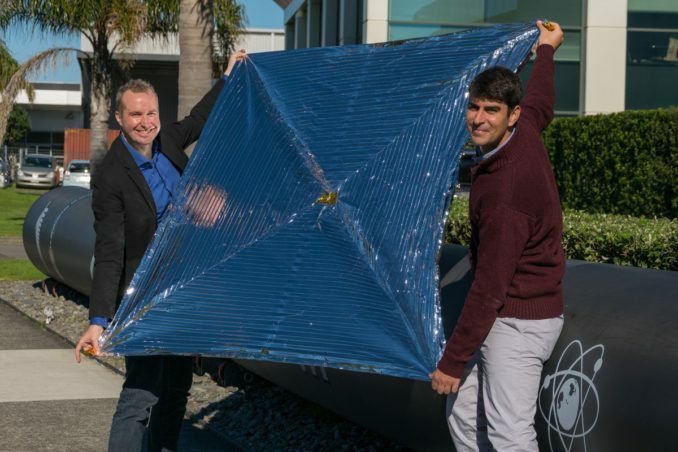 The Spire and GeoOptics payloads will measure GPS satellite navigation signals passed through Earth’s atmosphere to derive information about weather and climate. 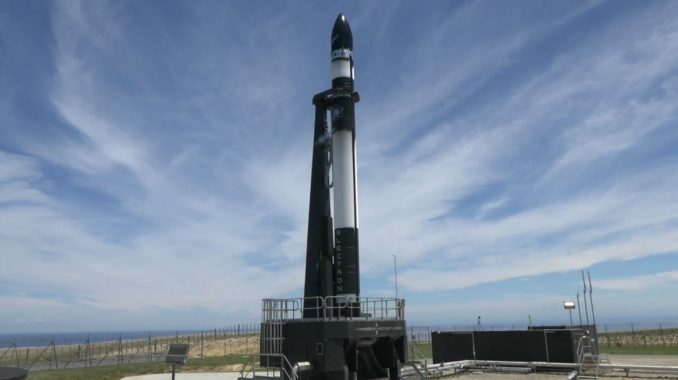 On Friday’s mission, the Electron rocket will launch to the south from Rocket Lab’s Launch Complex 1, located on Mahia Peninsula on the east coast of New Zealand’s North Island. Roaring into the sky with more than 41,000 pounds of thrust from nine Rutherford main engines, the all-black launcher will fire its first stage for around two-and-a-half minutes, then ignite its single-engine upper stage for a roughly six-and-a-half minute burn. The Electron will reach a preliminary orbit stretching between 155 miles and 310 miles (250-500 kilometers) above Earth, with an inclination of 85 degrees to the equator.